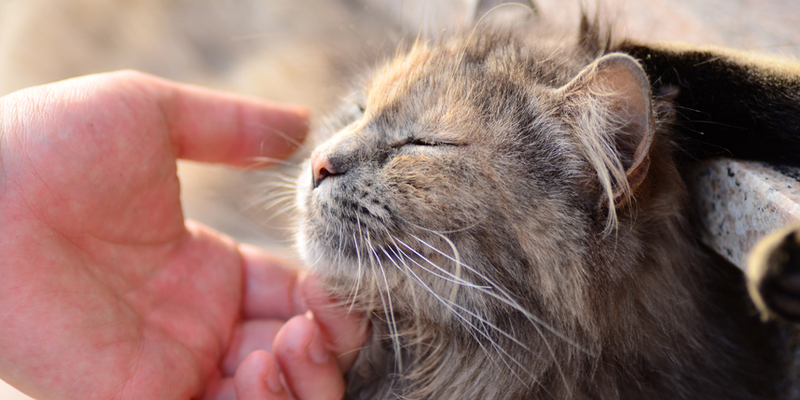 Deb H. is a blogger, editor, and self-proclaimed cat lady. You can follow the antics of her TuxedoTrio—Ben, Jack, and Hugo–by subscribing to their blog, checking out their YouTube channel, and following them on Instagram, Facebook, Twitter, Tumblr, and Pinterest! I started blogging about my cats about five years ago, when I convinced my then fiancé (now husband) that we needed to adopt two adorable tuxedo kittens. Ben and Desmond came home in October of 2011, when they were eight weeks old. In 2013, Jack came along, and we thought our family was finally complete. But when Desmond passed away suddenly from heart failure a year later, we were devastated. A few weeks later, I met a family looking for homes for a litter of kittens their cat had birthed. Hugo, the only tuxedo kitten in the bunch, came home with me that day. 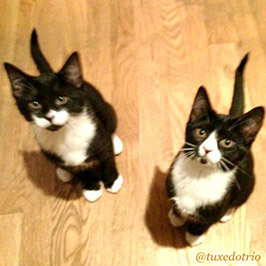 Since then, the TuxedoTrio has grown their own little fan base on the internet. We started blogging and posting their photos on Instagram, and have since expanded to other social media networks, where we’ve made thousands of virtual friends over the past few years. Ben is your typical alpha-male, the leader of the pack. He’ll be the first to greet you if you ever come over for a visit. He’s a big, beefy boy, and might look a little intimidating to some, but he’s a giant teddy bear once you get to know him. He is also the only cat I have ever met who loves to play in water and will come running when he hears someone turn on the shower. Jack is, and forever will be, my baby, no matter how old he is. He is probably the most cuddly of the three, always sleeping under the covers with me at night, with his head on my pillow. Jack will also play fetch with his toys for as long as you are willing to throw them for him. If he really trusts you, he’ll let you give him a belly rub. Hugo will be two years old this March, but he still acts like a kitten, destroying anything and everything he can get his cute little paws on. He’s also the most vocal of the boys, always chirping and singing kitty songs to the birds outside the window. He loves to jump and climb, and you can often find him on top of a shelf I put above our bedroom door. He likes to sit up there and watch over everything. Because we live with three cats in a Boston apartment, you might think that litter odor would be a problem for us. Fortunately, that’s not the case at all. 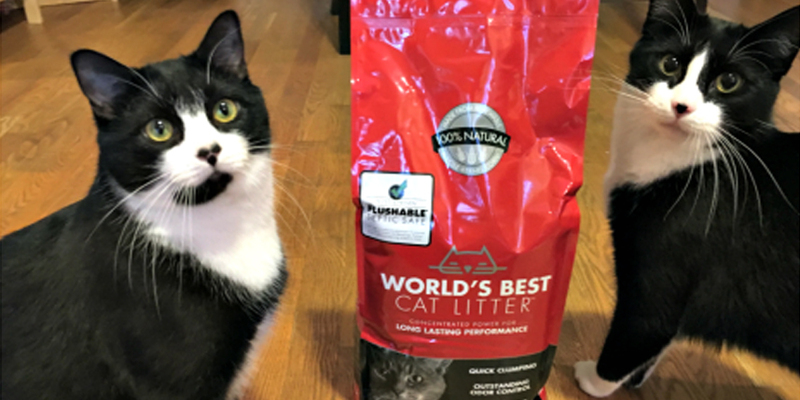 World’s Best Cat Litter™ absorbs and clumps better than any other litter I have tried. The smell after the cats use the box is basically non-existent. Best part? It’s totally septic safe and 100% flushable! (Read more about that here. You should never flush clay litter–that stuff is definitely not septic safe and it’s terrible for the environment. It can also clog your pipes or damage your septic tanks. 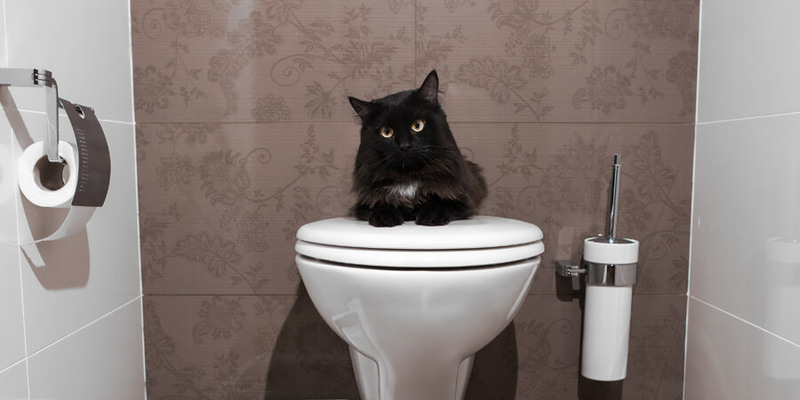 Also note that the state of California discourages flushing cat feces.) Since it’s easy to scoop and clumps perfectly, and we usually just scoop it right into the toilet and flush it away. We love World’s Best Cat Litter™! Finding a natural product that is environmentally friendly was important to us. There are several companies that claim to be made from all-natural products, but none of them compete. World’s Best Cat Litter™ is made from whole-kernel corn that is grown in the U.S., and it doesn’t contain chemicals or any of that silica dust that clay litters have. We first started using the Original Series formula back in 2011, but we’ve since graduated to the Multiple Cat Clumping formula, which we find works better with several felines who are in and out of the box several times a day. For those of you that like a scented litter, World’s Best Cat Litter™ also has Lavender Scented and Forest Scented formulas! You can learn more about what makes World’s Best Cat Litter™ so different by clicking here. If you haven’t tried it yet, what are you waiting for? The TuxedoTrio gives it six paws up!